JOHNSTON COUNTY (WTVD) -- An off-duty police officer was arrested during a traffic stop for driving while impaired in Johnston County on Saturday. According to the Johnston County Sheriff's Office, Suzanne Perry, 49, was clocked doing 81mph in a 55mph zone on US-70 between Selma and Princeton near a construction zone on just east of I-95 around 5:15 p.m.
Deputies said they pulled over the Honda Civic Perry was driving near the US-70 and Buffalo Road interchange. 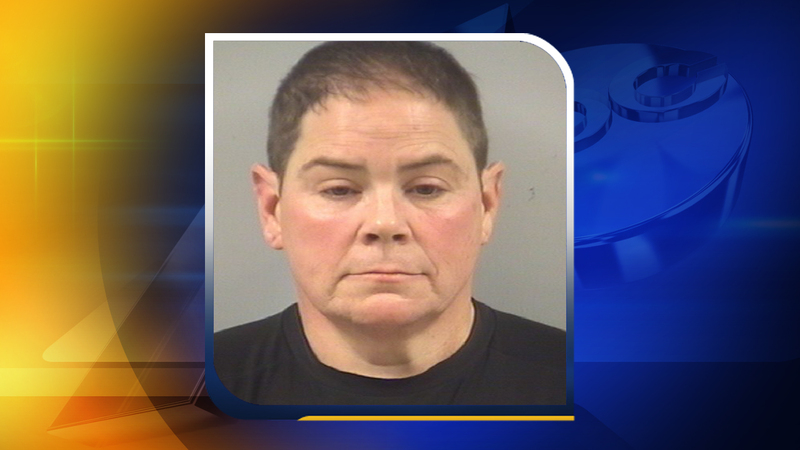 Perry is a police officer with State Capital Police in Raleigh and was wearing her uniform and duty belt at the time of her arrest, officials said. According to deputies, Perry registered 0.09 on the Breathalyzer, which is just above the state legal limit of 0.08. Deputies seized Perry's State Capital Police gun, badge and stun gun. Her personal 2013 Honda Civic was also impounded. A spokesperson for State Capital Police told WTSB News on Monday that Perry has been placed on administrative assignment pending the completion of an internal investigation.